The printed porcelain side plate available at @Home furnishings, in the range of kitchen and dining products, is a popular choice among customers. The plate is circular in shape and has a diameter of length 21.7 cm. The thickness of the plate is about 2.5 cm. The body of the plate has an intricate printed design that is similar to optical illusion designs. These plates are made of porcelain and are easy to maintain, which ensures that they last for a long time.The blue porcelain adds a liveliness to your kitchen and to your household at large. Adding these plates to your cutlery collection will reflect your quirky personality even in the utensils you use in the kitchen. While the plates can be used for their true purpose when entertaining guests, they can be used on a daily basis as well. 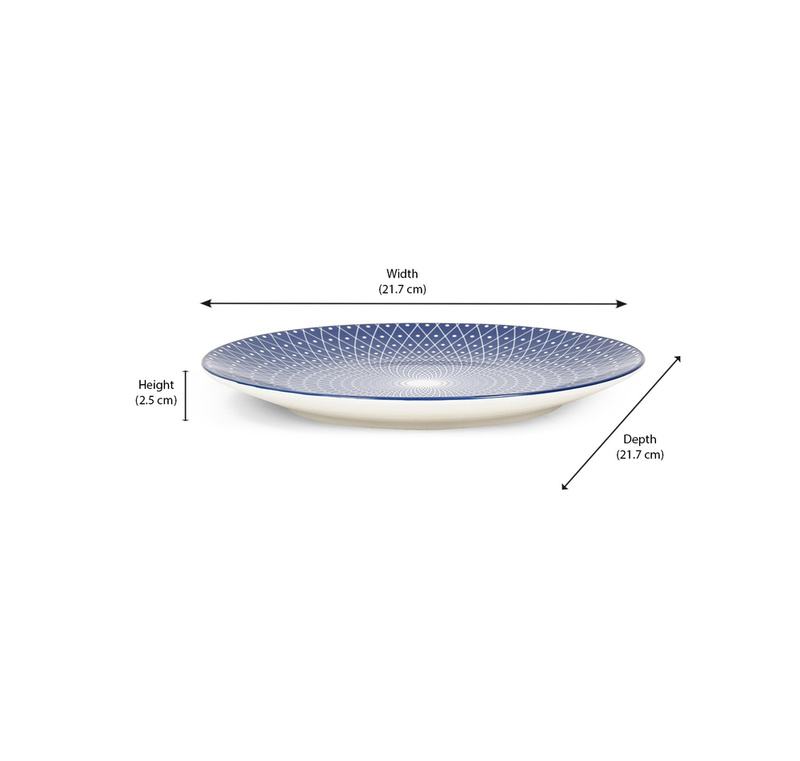 You can have a light snack or breakfast in these plates and ensure that the chore of washing plates is minimal.